The theme of Techsauce Global Summit 2019 is “World Changing Technology”, emphasising the universal impact of technology that reaches beyond the corporate sphere to include everyone. Oranuch Lerdsuwankij, chief executive officer and co-founder of summit organiser Techsauce Media, underlined the confab’s importance as a platform for tech enthusiasts across different industries to discuss digital knowledge, ideas and experiences. The summit brings tangible changes to the tech ecosystem across Thailand and other Southeast Asian countries. “For this year, we picked issues around our theme, celebrating world-changing technologies, to broaden views of how technology creates a huge impact on our world and affects big-name companies as well as the general pubic,” said Oranuch. At the event, 12 stages will shed light on various topics, ranging from blockchain, artificial intelligence (AI), the role of women in the tech industry, and the social impacts from AR/VR (augmented reality/virtual reality) technologies on health, energy, smart city and music. The event, to be held in June, will also feature a technology-focused exhibition and business matching. Techsauce Media and HUBBA have organised the summit since 2016. Among Southeast Asia’s largest startup and tech conferences, the summit this year is expected to attract approximately 20,000 participants, double last year’s figures. Techsauce Media bases estimates on Thailand’s startup ecosystem based on publicly disclosed information. The total (disclosed) fundraising in Thailand in 2018 was US$61.25 million (Bt1.94 billion), a large decrease from the $106.10 million (Bt3.37 billion) in 2017. Meanwhile, the number of deals in 2018 totalled 35, an increase from 31 deals in 2017. During the past eight years, 2011 to 2018, the total estimated value of startup funding in Thailand was $337.37 million (Bt10.72 billion). In 2018, the three big deals included Eko secured series B funding of $20 million, Eatigo secured series B funding of $10 million and Gogopoint secured series A funding of $7.7 million. Even the total value of startup fundraising in Thailand is quite small when compared to other countries in the region, especially Indonesia and Singapore. Thailand has active investors – corporate venture capital funds (CVC) and venture capital funds (VC), along with accelerators. In 2018, tech startup deals in Thailand reached at least $61.5 million. Food/bio/restaurant, fintech, e-commerce marketplace and property-tech were the top four industries with the highest number of deals. This was followed by digital content, travel tech, marketing tech, reward and enterprise platforms. Meanwhile, funding deals in construction, agriculture and robotics were few. Thai investors in 2018 invested more abroad than in local startups because they were looking for deep technologies and innovations, while most Thai startups are not oriented to deep technology. 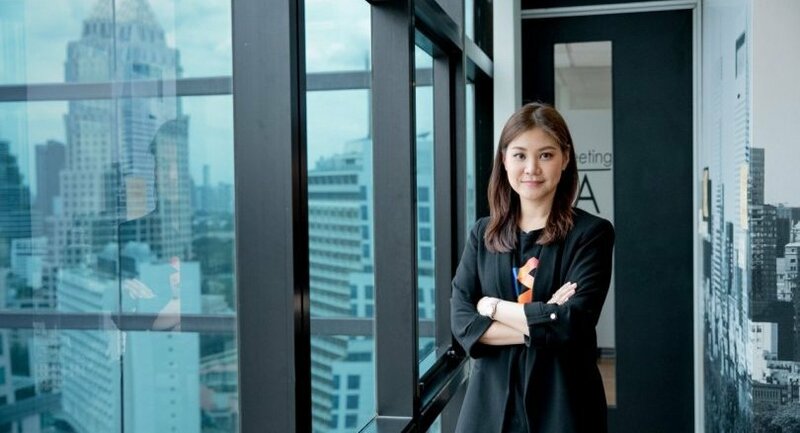 To drive Thailand’s startup ecosystem, Oranuch said, the government and private sector each need to play a key role in nurturing talent, especially through STEM (science, technology, engineering, and mathematics) sectors . STEM talents are the most important fundamental success factor in jump-starting interesting and successful startups. “It is the big challenge for the country. To drive the country to move forward, we need sufficient numbers and quality talents. It is an urgent agenda that I urge the government to focus on,” said Oranuch. while most Thai startups are not oriented to deep technology. the massage girls are using We Chat and Badoo. Does that count? Thailand's approach to things it does not understand is to make it illegal. It has never ever even been in the running. It could be if they embraced help and ideas for anywhere, and chose a doable technology that fits the Thai mindset; patience, a light touch and eye for detail. Immigration is a for profit center/organization which scares away foreign talent. It is not a department that manages for the good of the country. The government competes with the population for every Bhat. Until that ends, Thailand will continue to be a non starter. A nation of long range snipers seems plausable. No surprises there, I'm afraid.